Eid is all about the time when Abraham showed his obedience to Allah by being prepared to sacrifice his son, Ishmael. Ishmael said “sure Dad”, but was fortunately spared by the appearance of a replacement goat. (Nope, not Isaac.) It follows hard on the heels of the Hajj pilgrimage. During the Hajj, millions of tourists arrive in Saudi from all over the world. They're coming for the once-in-a-lifetime pilgrimage to Mecca that’s required of every good Muslim. So, whatever way you look at it, there’s an awful lot of religious journeying and celebrating going on. This in turn means that pretty much everything shuts down at this time across the Middle East. Life in Riyadh is even more difficult than usual, and so we decided to take advantage of the week’s holiday to do some travelling of our own…to Paris. We arrived at Charles de Gaulle airport early on Thursday morning. Our hotel was in the Latin Quarter, not far from the Sorbonne, the Panthéon and Notre Dame. Perfect. As we searched out a breakfast place, we passed an old stone building abutting the footpath. It was a school, with children queuing outside. The buildings were grey against a grey sky. 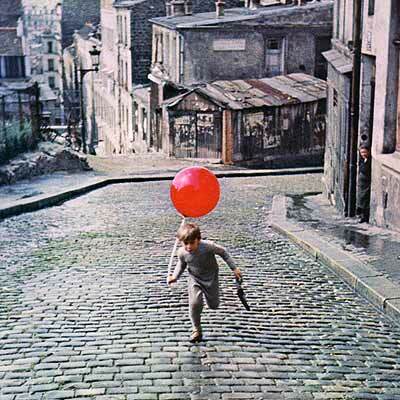 I couldn’t help recalling a favourite childhood book, The Red Balloon. 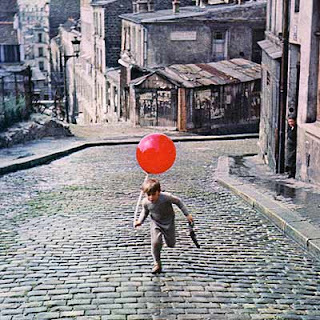 I half-expected to see the small boy in the story, Pascal, running around the corner to join the end of the queue; brown leather satchel in one hand and in the other a red balloon bobbing against the sky. We found a boulangerie with a far-too-tempting array of pastries and make plans for the day. We decided to take in the Champs-Élysées, the Place de la Concorde and perhaps the Louvre. On the Metro, we ended up in a carriage with a saxophonist. He played ‘I just called to say I love you’ quite loudly, handed around a paper cup for money, and then left at the next station. The platform emptied. The train doors were about to close when two late departures suddenly came running down the Metro steps. 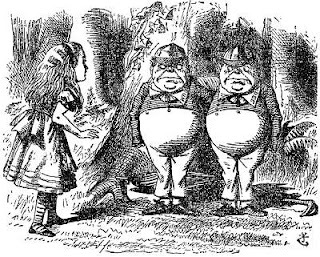 The first had a piano accordion strapped across his chest; the second was somehow attached to a double bass. All I could see were running feet, extended arms, and a head poking above the body of the bass. A French Tweedledum and Tweedledee, I thought. I sat back, enjoying the moment and the relative silence, as they played to another audience in another carriage. We exited the metro and looked carefully at our map. My daughter suddenly had a small epiphany. ‘Ladurée,’ she said, ‘they make the best macarons. They’re somewhere around here.’ There was no denying the authoritative tone in her voice and so we turned our back on Cleopatra’s Obelisk, temporarily sacrificing monuments for macarons. The shop was not far away. Ten minutes of finding and queuing later, success is a small box with eight brightly glowing macarons inside. The others (who were not queue-waiters) had gone for an explore. My daughter and I wait. “I just found this ring on the ground. Is it yours?”A dark-haired womanstands beside us. In her outstretched palm there is a gold ring. “Look, it's good quality.” She points to the manufacturer’s mark on the inside. We take a step back. We don't want it. But we've read the tourist books, we know this ruse and want nothing to do with either her or the ring. * She turns and melts into the crowd. Some time later, it’s back to the hotel for coffee and macarons. I know which one I want. Forêt Noire – black forest. *For those wondering, the scam can play out in different ways: sometimes associates try to pick your pockets as you talk to the gypsy. Other times they reappear after giving you the gift and accuse you of stealing it – which could end up involving the police. Or they reappear and demand money in return for the (probably worthless) “gift” they have just given you.